It’s approaching the next school holidays, yes already. 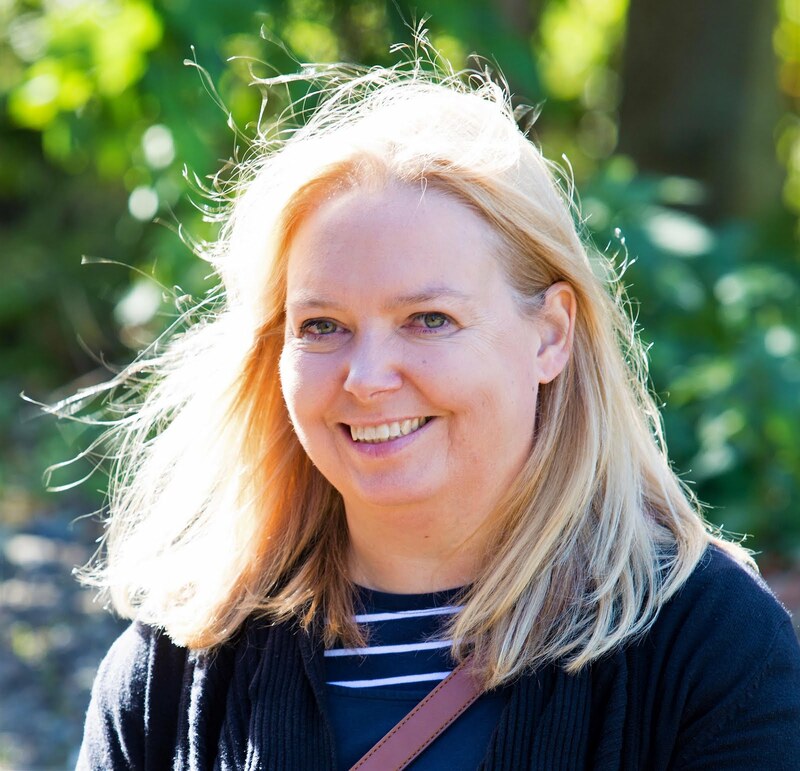 And as much as I love spending time with the boys when they are not at school, the school holidays do create stress for a lot of parents, who need to find childcare that is both affordable and reliable, and that the children will find fun and enjoy. Over the past few years, many places have started up holiday camps, providing exactly what parents need – safe, dependable and entertaining - and at a price, we can afford. 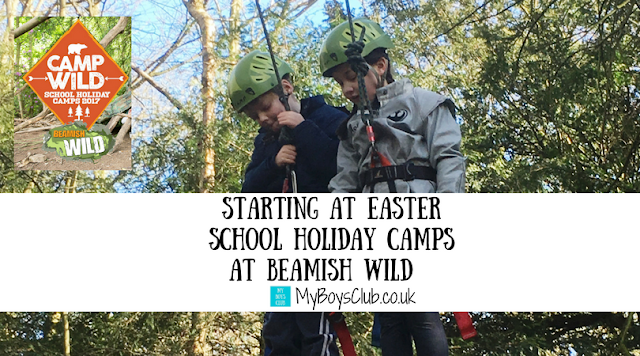 Beamish Wild is offering new Holiday Camps starting this Easter and they invited My Boys Club along with other North East family bloggers to test them out. 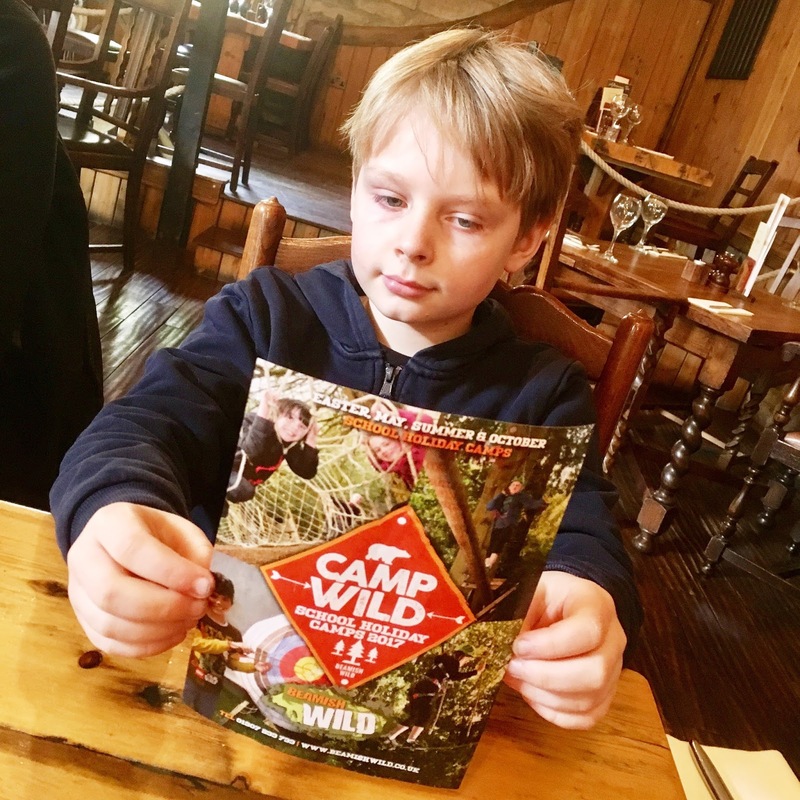 Located within the grounds of Beamish Hall Hotel, between Chester-le-Street and Stanley, Beamish Wild is central to Newcastle, Durham, and Sunderland and is also close to the A1, making it an ideal location to drop children off and pick them up. 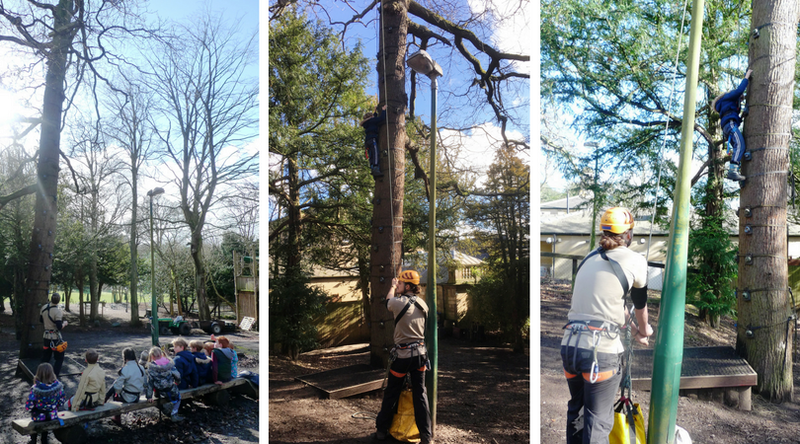 Designed for children aged 6 – 13 years old, the holiday camps combine a whole host of fun, outdoor and interactive activities that are sure to keep your little ones occupied. Forest schools are becoming really popular and I can see why. We started the day with a safety briefing from our instructor Tom, who was with us for the entire day. I have got to start by saying he was brilliant. He was engaging, encouraging, patient, explained everything fully so the children understood - but also had fun with the kids - but most of all I’d be happy to leave my children in his care. And the boys would be too. 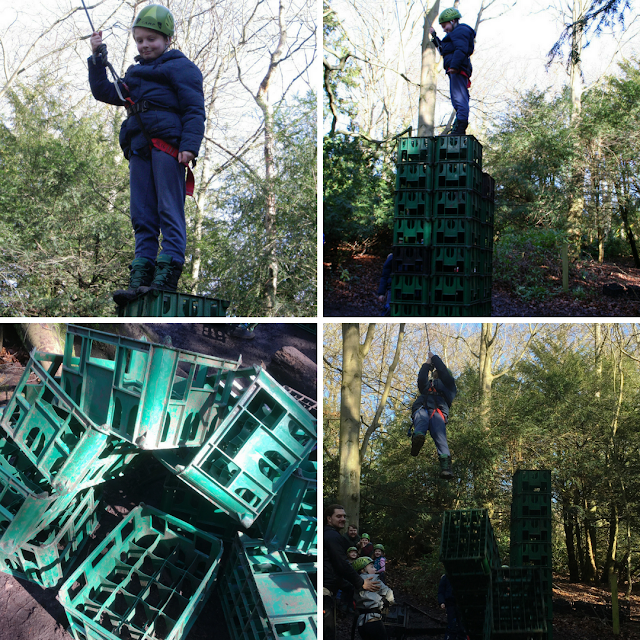 Our first activity was Crate Stacking. The children had to work as a team to build a stack of crates. Everything was explained clearly and fully. The kids worked in small groups, getting to know each other and trying out all of the roles. 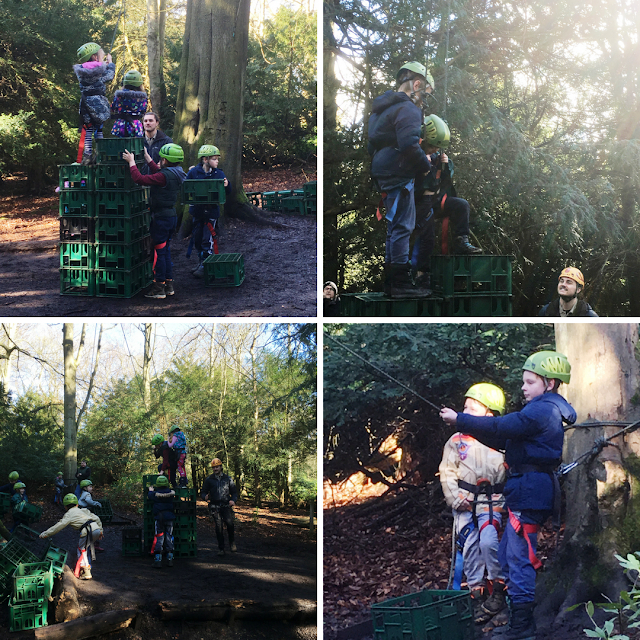 Two had to stand on the crates as the others either built it up, stepping higher each time a new one was added; or ensuring the safety by monitoring the ropes. 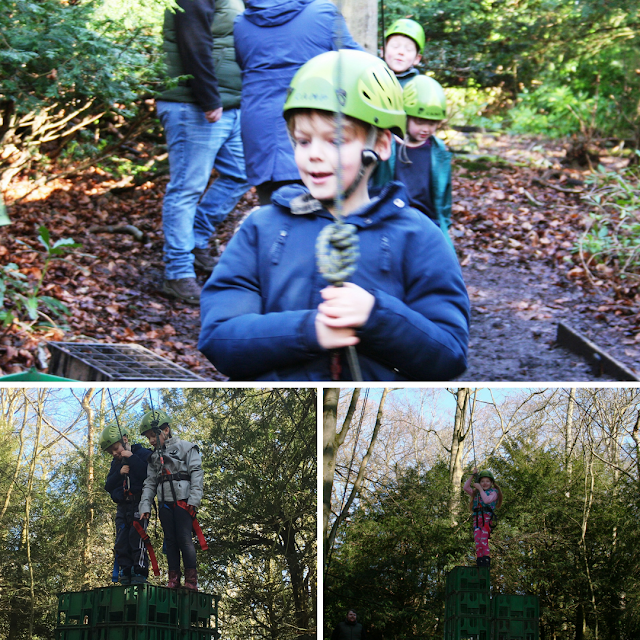 Each child reached a height that they were happy with, it wasn’t about being the highest (but try telling my youngest that who went higher than his brother) but about challenging yourself – and they all did that. Next up was the Tree Creeper activity. A tall tree has been turned into a climbing wall and one by one the children were invited to climb it. 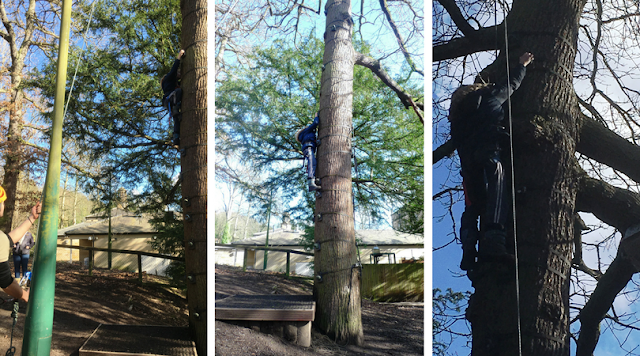 Tom asked them all to think about how high they would like to go and then he helped them achieve that. For two it meant getting right to the top - including my youngest. For others, it was just a few handholds – that didn’t matter they all achieved what they wanted to and were very proud of themselves. 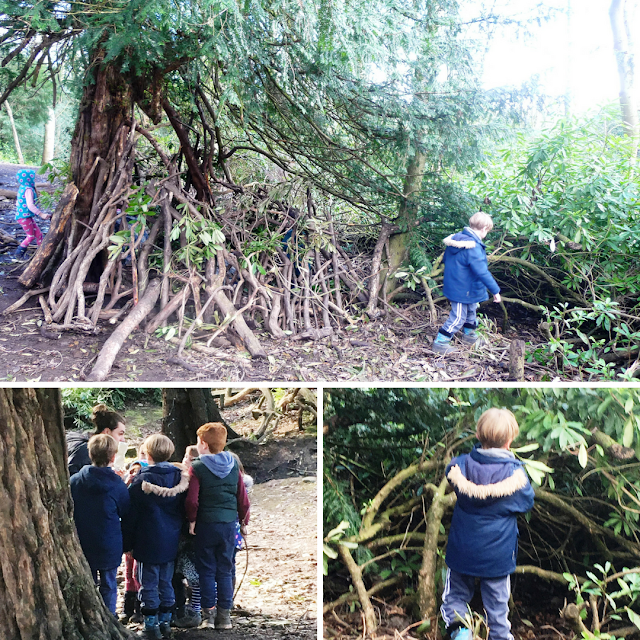 After a very enjoyable and highly recommended Sunday lunch at The Stables (more of that another time) we went Den Building. Of all the activities, this is one that most children have already done in some shape or form. 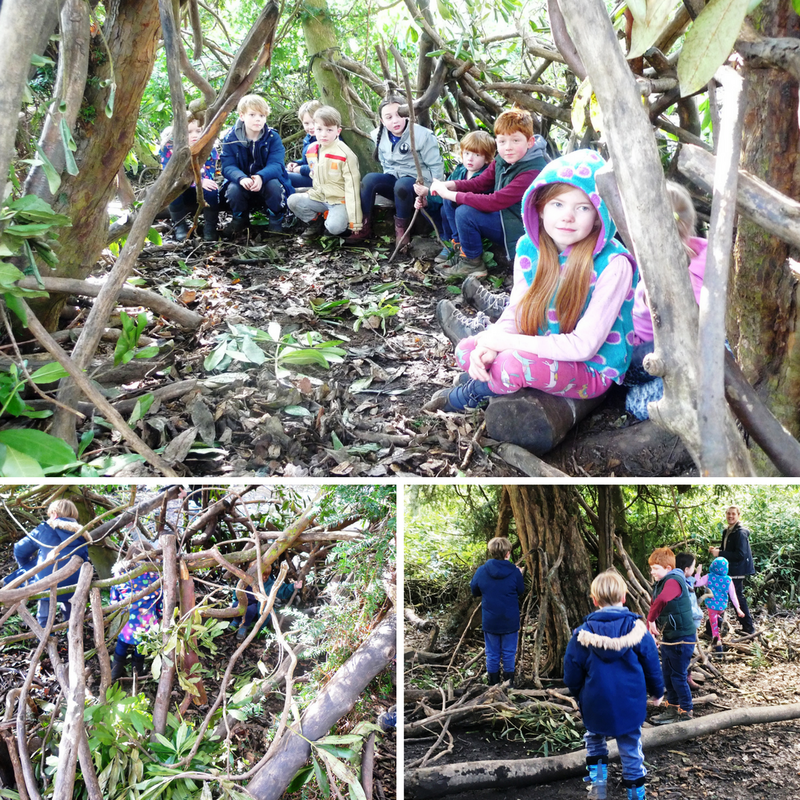 Again they took instructions from Tom, worked as a team and as parents we just saw lots of happy smiley faces as we watched them build (and destroy our own attempt) a den in which they could all sit. The final activity of the day was Archery. 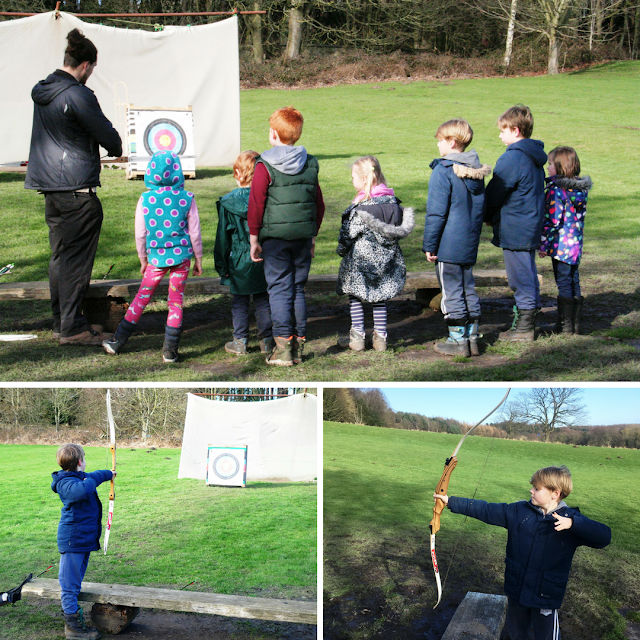 More technical to understand all the children took turns in shooting arrows at a target from a bow. Now, what couldn’t be fun about that? It wasn’t about the winning but my eldest was very happy when he finally beat his younger brother at something that day – scoring 7 in the red section of the target. It was all over and we had not just two happy boys but nine very happy children, who had been educated and challenged – yet they hadn't realised that – to them, it was just fun. And the type of fun they’d love to do again. We thought they’d be tired but oh no. Tom had a new group to take for archery but his team headed straight for the adventure playground to use up some more energy. Beamish Wild is also handily next door to The Stables and Beamish Hall Hotel so whilst the kids are having lots of fun you can always wind down after work a little before pick up time and relax as they continue to have fun in the adventure play area. When are the Holiday Camps? Easter: 10 - 12 April and 19-21 April. There is a 1, 2 or 3-day option, with the days running from 8-45am (earliest drop off) until 3-30pm. At Beamish Wild, in the grounds of Beamish Hall Hotel in County Durham. Who are the holiday camps for? What activities will the holiday camps involve? 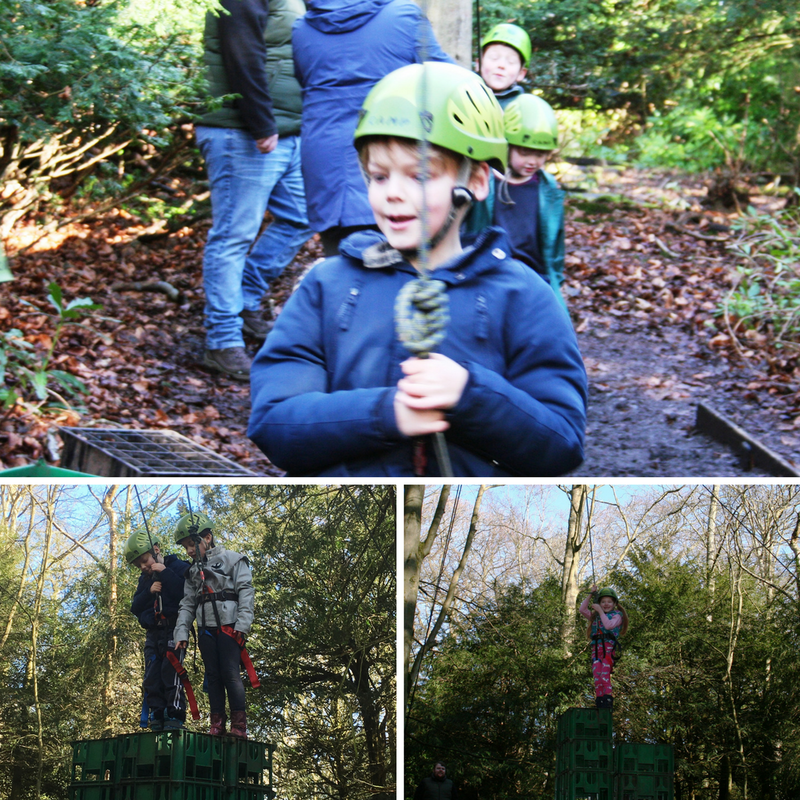 A whole array of activities is on offer including Den Building, Fire Lighting, High ropes activities including Crate Stack, Leap of faith, Tree Creeper, Woodland Crafts, Treasure Hunts, Sports, Rounders, Arts and Crafts, Mini Olympics, Ultimate frisbee and more. Advance booking for our holiday camps is essential, all bookings can be made through the website by clicking here. Use the code BLOG17 when booking online to get a 10% discount. What are you planning for the Easter holidays? 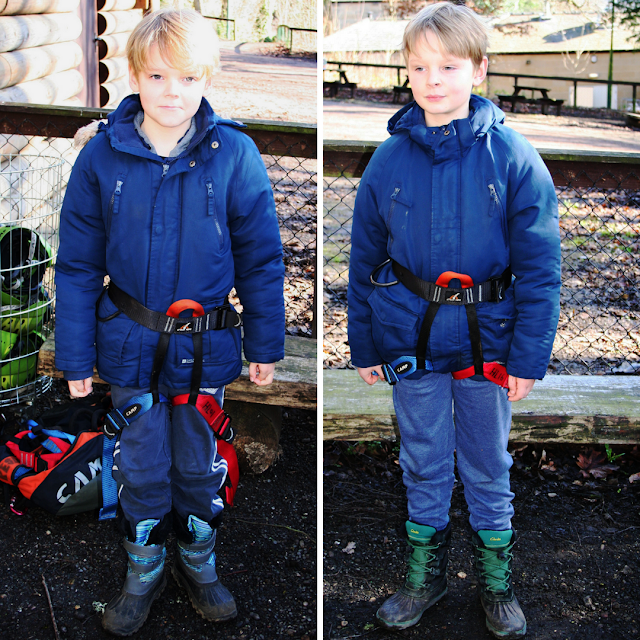 Holiday camps are great if both parents have to work and the kids are older and don't want to go to a babysitters. Camps can be such a fun learning opportunity. Some of these look like a ton of fun. Looks like they had such a good time. Also, those prices are super reasonable!